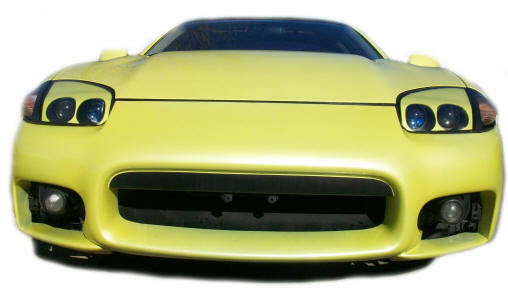 STEALTHMAN.COM is your resource for Dodge Stealth and Mitsubishi 3000GT Cars and Car Parts. We have many cars in inventory and welcome your requests for parts or cars. We often have several wrecks and salvage title 3s (3Si) vehicles on hand. Even parts we don't have listed we are often able to get. Check out our inventory of Dodge Stealth's & Mitsubishi 3000GT's. The 2015 Tesla Model S and 1999 Mazda Miata shown in other vehicles are now available! We have other vehicles and other items from time to time as well. Including a 2013 Yamaha 242 Limited S and a 2011 Heartland Bighorn 3585RL 5th Wheel Camper! If you have a wrecked or non-running Dodge Stealth, Mitsubishi 3000GT or Dodge Viper we might be interested in purchasing it. Email us for a quote! and our Dodge Viper section for more info. © Copyright 2019 stealthman.com. All rights reserved.